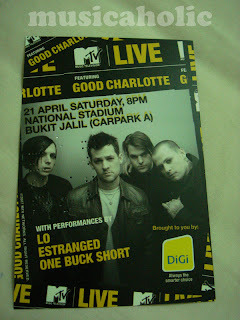 Suddenly I remember about these Good Charlotte’s free concert tickets in Malaysia. 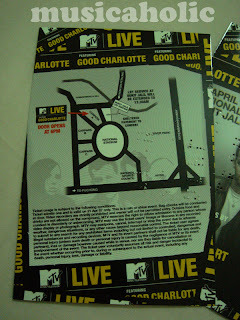 Yup..I got those tickets for free. 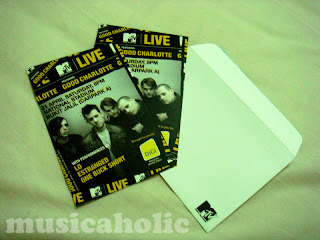 Last week some guys from mtv asia came to campus and they gave LOTS of GC’s free concert tickets. I dunno exactly how many were they given away la, but it was A LOT! Even one of Mochi’s “brothers” got 4 envelopes, whereby there are 2 tickets in 1 envelope, which means he got 8 free tickets! « Lao zha bor rapping? ?